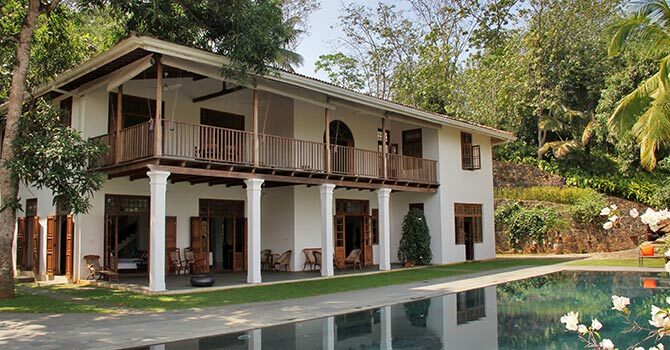 Lassana Kanda Villa enjoys relaxing views out over the surrounding paddy fields, located just a few kilometres from Galle. 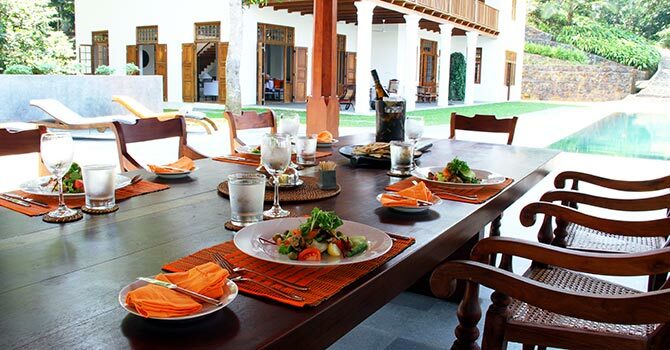 With seven bedrooms, the villa is perfect for groups as it sleeps up to fourteen guests. 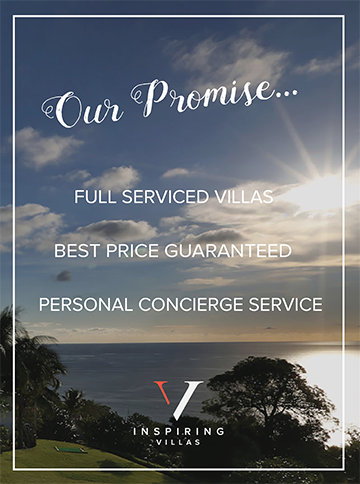 The villa is staffed by a passionate and experienced team who are committed to ensuring a relaxing stay. The beautiful villa is tropically inspired, with a breezy feel inside. It boasts many shared areas, including an open plan living and dining area, as well as a television room.  There is also a games room with a television as well as various games and books, as well as a gym and massage room. A family kitchen adjoins the living space and outside verandah. 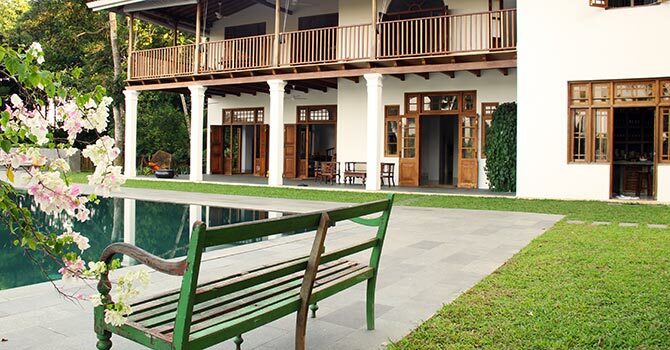 From the verandah, walk out into a stunning tropical garden filled with lush plants. There is also an enormous 18 x 9 metre infinity pool to enjoy. 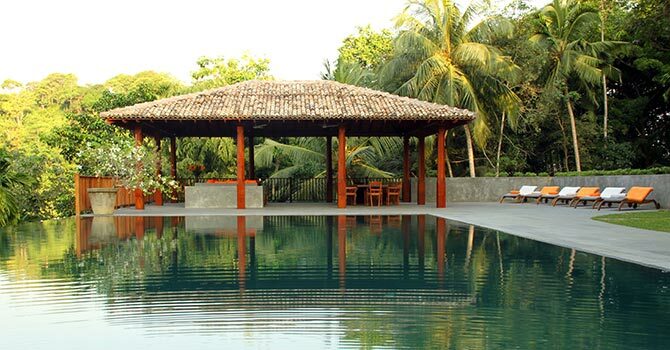 The villa is atop a hill, overlooking paddy fields and the jungle. 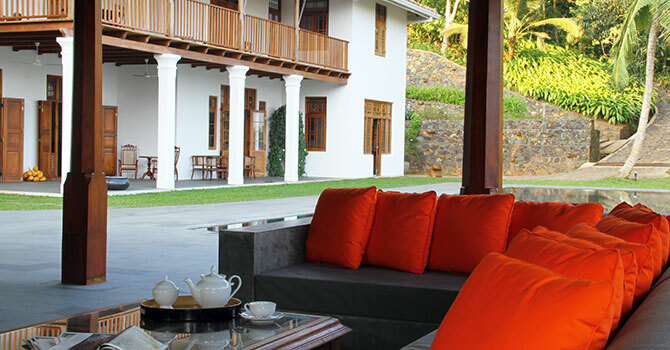 While it offers a peaceful and relaxing retreat, it is only a few kilometres from popular Galle where there is a great selection of restaurants, shops and cafes. Lassana Kanda offers a total of seven bedrooms set in the main house as well as a separate garden cottage. Four of the bedrooms have 4-poster king size beds, while two have two four-poster single beds, and the family suite has a king-size bed as well as two singles. Each bedroom has mosquito nets, an ensuite and air-conditioning.